One of our favorite ’90s films just got the remix trailer treatment, and we’re bristling with fear. 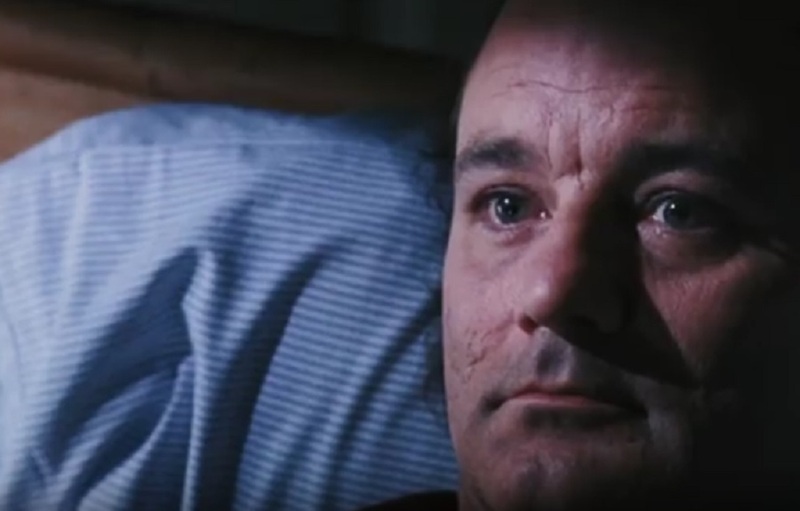 In case you missed it, the latest episode of Trailer Mix turns What About Bob? into a thriller, and ugh, it’s a bit difficult to watch. Seeing one of the most delightful characters portrayed by Bill Murray depicted as a villain is disturbing on so many levels. As much as it pains us to admit this, watching the reel played over those creepy scary movie sounds is actually perfect — in the worst way possible. Seriously, what did Bob Wiley ever do to anyone to warrant this type of treatment? Sure, he was painfully unaware of boundaries and social cues and even set fire to the gorgeous Lake Winnipesaukee vacation home that belonged to Dr. Leo Marvin (played by Richard Dreyfuss), but that was a total accident that could’ve easily happened to any well-meaning, baby step-taking individual, right? So, maybe not, but even with his over-the-topness, the original Bob Wiley was a really sweet person at his core and way less harmful than this menacing maniac we see in the revamped trailer. Warning to original Bob fans: You’re *probably* going to have to sit through a couple of re-watches of the 1991 film to get this terrifying remix out of your heads. From the heart-stopping moment Bob schedules his first visit with Dr. Marvin to the trailer cleverly using his son’s hypochondria as a foreshadowing for Bob’s murderous potential, everything about this trailer suggests that What About Bob? could’ve been just as successful as a stalker-themed thriller, but we’re *so* glad it wasn’t.